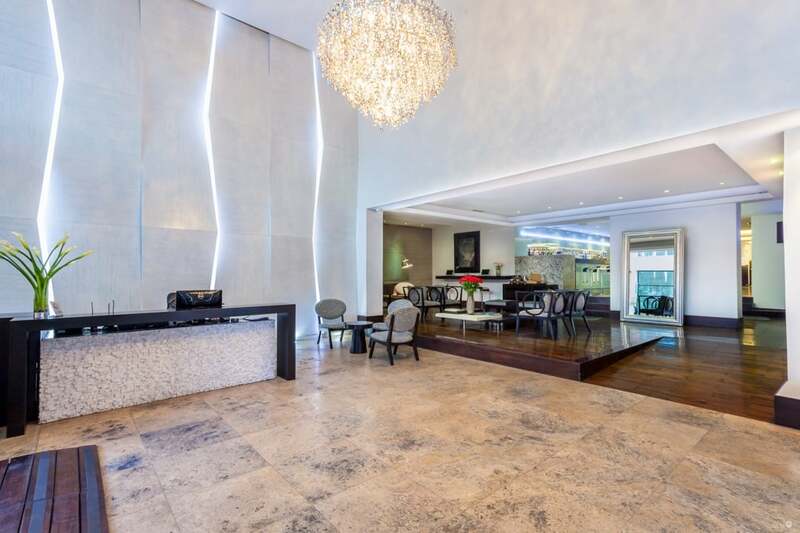 On a trip to Quito, the fascinating capital of Ecuador, stay in real luxury at Hotel Le Parc; a 5-star boutique hotel with gourmet cuisine, designer suites, a spa and personalised service. Hotel Le Parc is located in the financial centre of Quito in the iconic capital of Ecuador. On the doorstep, you will find La Carolina Park, the Guayasamin Museum and the Quicentro mall and you are surrounded by some of the best shopping malls, restaurants, bars and luxury boutiques in Ecuador. Quito is renowned for its largely intact Spanish colonial centre, browse its streets and admire the beautifully decorated 16th and 17th-century palaces and religious sites, such as the ornate Compañía de Jesús Church. The hotel is a 40-minute drive from the Mariscal Sucre International Airport; direct flights from the United States leave from Miami, Houston and Atlanta, in Europe, they go from Madrid and Amsterdam and if you are travelling from London, a connecting flight takes just over 14 hours. GHL Hotel Le Parc has an exclusive vibe. The décor is elegant, contemporary, minimalist and classy. It is billed as appropriate for both personal stay as well as leisure stays and it looks the part too, managing to be professional but not look like a business-only hotel. All the facilities that you would expect at a larger hotel are available here and as this is a boutique hotel, it all just feels a little bit more special, that exclusive vibe again! The Spa offers personalised treatments and massages as well as an impressive sauna and relaxation spaces, there’s also a gym. The reception is 24-hour, there’s free Wi-Fi throughout the hotel, airport transfers can be arranged, there’s a car park and a guests’ lounge. The hotel also offers excellent business facilities and provides a well-equipped Business Corner, complimentary Wi-Fi and a host of event rooms. The service is truly excellent, a cut above what you usually expect; attentive and friendly, nothing is too much trouble. 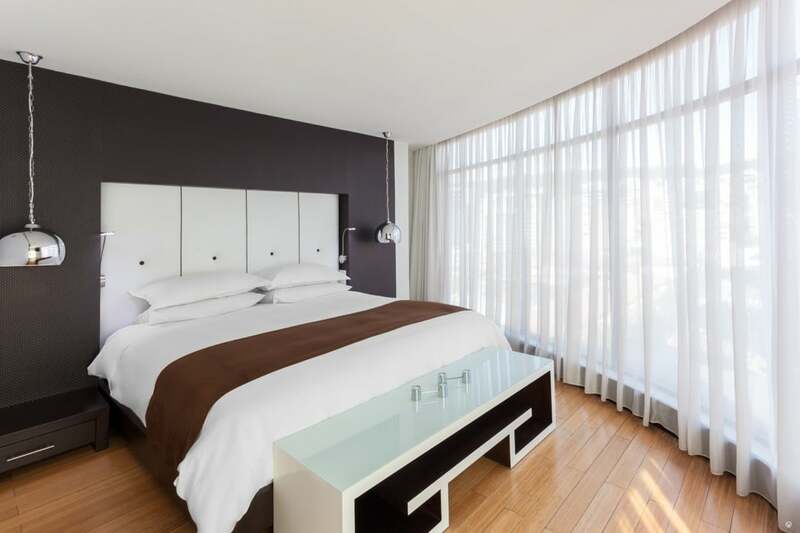 There are just 30 stylish, designer suites at Le Parc Hotel, choose from Junior Suites or Business Suites. 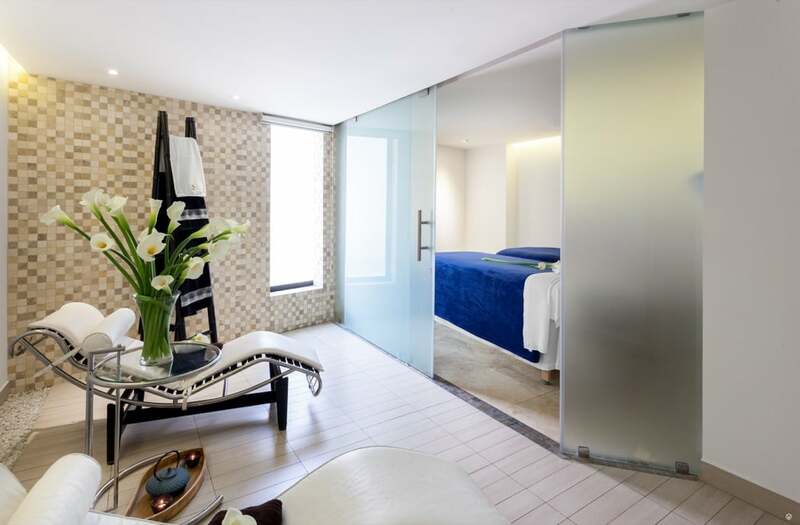 The Junior Suites vary in size between 32 and 43 sqm and include a king-sized bed or 2 queen-size beds. 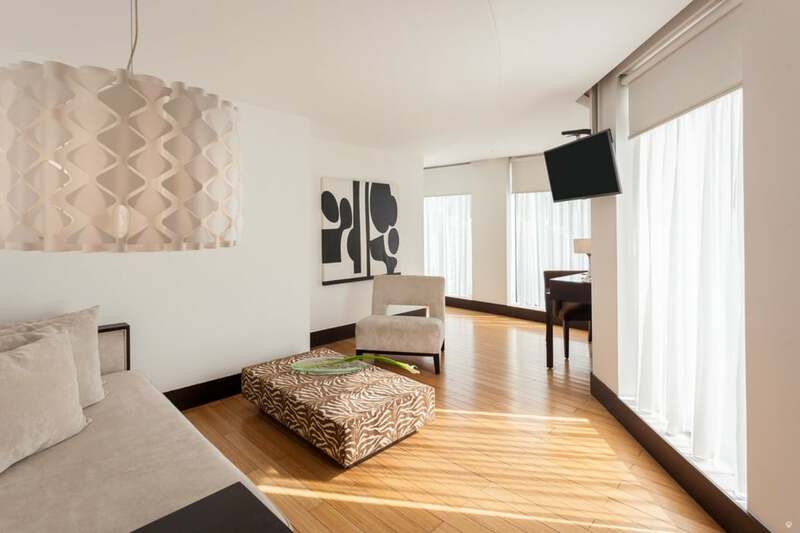 The Business Suites are 43 sqm with king-sized beds and offer slightly more space to spread out than the Junior Suites. All suites offer a bedroom, lounge area with LED TV, minibar, desk, free Wi-Fi and a large private fully-equipped bathroom with a bathtub or shower and toiletries, some suites also include a hydromassage tub so be sure to request one of these! 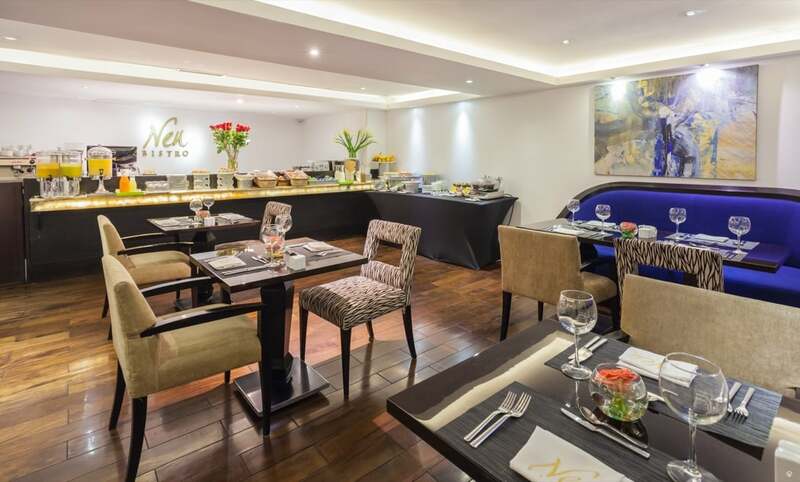 The restaurant at Hotel Le Parc is NEU Bistro Restaurant, an exclusive and stylish dining environment. A gourmet buffet breakfast is served here daily with a huge range of fresh fruit, yogurt, cheeses, meats, pastries, tea, freshly brewed coffee, fresh juices and eggs cooked just as you desire. The cuisine at dinner combines local and international ingredients and spices and some fabulous signature dishes. Room service is also available. Contemporary hang out; The Sky Bar, is a great place to chill out at the end of a busy day, maybe with a coffee or a cocktail. In this area, there are also loads of lovely cafes and fine dining restaurants in easy walking distance so you have lots of choice.